Feb. 2 0 : This Saturday's Training has changed to 2:00. Please sign in as always. We will utilize HitTrax to track all hitting metrics (Exit velo, LA, distance, HHA, spray charts, etc.). IF YOU DON'T HAVE IT ORDER NOW AND INCLUDE SIZE IN NOTES. MADE TO ORDER SO DON'T DELAY. I was recently asked, "What are the top 5 reasons that Damian Henderson is as good a hitter as he is?" Primary Coach Dan Kopitzke/ Assistant Coaches Andrew Banks /Hector Garcia. Additional support and mentoring will be provided by several of our trusted professional, collegiate and high school players who train at the K-Zone Academy and understand and value the principles that we teach. Dan brings over 40 years of baseball experience from becoming the first left-handed catcher in the history of the Little League World Series, earning 2 team All-State honors as a pitcher in High School, and closing to win the NABF National Championship. He also excelled on his HS football and basketball teams. Dan went on to a successful D1 college career at NCAA DI UNIVERSITY OF DETROIT (pitcher as well as outfield) playing with Major Leaguers such as John Smoltz and Jim Abbott. Dan began coaching in 1998 and has been involved in developing athletes and shaping young minds ever since, ultimately leaving his engineering career to follow this passion full time. He has taught overseas, coached, consulted and spoken around the country, and continues to coach and train baseball athletes of all ages and levels. He trains elite level College and Professional ball players at the K-Zone and remotely. A researcher, engineer, inventor & athlete, Dan's experience is vast and multi-faceted. Dan draws not only upon his own experience, but continually studies, and collaborates with the country's top baseball minds. The impact he has on his students is a function not only of his expertise, but of his authentic passion for helping these young men go far beyond the limits they thought they had, both physically and mentally. He is a true teacher and he has developed a dynamic system for improving baseball ability. Currently he plays in the MSBL 30 Division. As a left handed pitcher he has amassed 7 no-hitters, and over 900 strike outs averaging over 12 per game while compiling a 45-11 record. He led the nation in strikeouts in which included a 19k performance and has maintained top 5 status for the past 6 years. Additionally, he has brought home the 2009, 2012 & 2014 World Series Championships in Arizona for the Raleigh Braves and will be going for the 2016 win this November. Hector is originally from Puerto Rico. There he began playing baseball at the age of four and continued through to juvenile Double AA. At 18 he attended college in Florida and played club ball. He continues to travel to and play in Puerto Rico. Hector played for Orlando Cepeda (San Francisco Giants) who was inducted into the Baseball Hall of Fame in 1999. Formally trained by Jose Pagan (2nd Baseman Pirates), Eduardo Figueroa (Yankees Pitcher) and Julio Navarro (Detroit Tigers Pitcher). Hector also played in the NC-Central Senior Baseball League & Raleigh Fall Baseball League. Hector comes from a baseball family with a father still actively playing at the age of 78. His father was recently inducted into the Latin American Baseball Hall of Fame in New York! K-Zone has made Hector a strong believer in Coach Dan's methods of training, principals and the opportunities the K-Zone provides. He is honored to assist with the Moondogs and your children as they follow their baseball dreams. ​As his favorite player Roberto Clemente once said “Anytime you have the opportunity to make a difference in the world and you don’t, you are wasting your time on Earth." Andrew Banks is from Bloomington, IN. He has had a life-long love for the game of baseball, and started playing at the age of nine. In 1990, Andrew played for the 16 year-old division Indiana Babe Ruth state championship team. Andrew continued playing in college for the D1 Furman Paladins as a left-handed starting pitcher, and was selected to play for the Cohocton Red Wings of the New York Collegiate Baseball League. 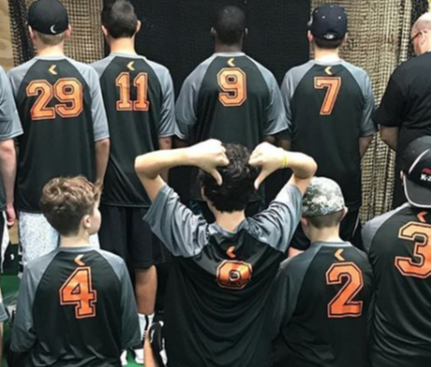 Andrew is a member of the National Youth Sports Coaches Association (NYSCA), with certifications in baseball and in-line hockey, and has coached in several area leagues including West Raleigh Baseball Association. ​Andrew is an advocate for player development, both in character and physical skills, and believes in creating a positive environment for developing players to have fun and learn the game. He looks forward to sharing his passion for the game with the Moondogs this spring. Andrew works for UNC Health Care where he is a Lean Six Sigma Black Belt and project manager. His skills include leadership coaching and advanced analytics. Andrew discovered the K Zone Academy through his son Evans, who has been training with Coach Dan at K-Zone Academy for two years. 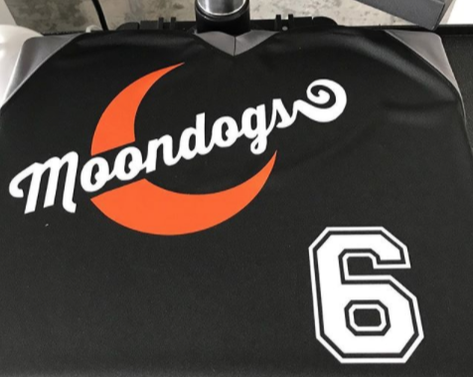 Evans will be playing his third season with the Moondogs. Sam grew up in Flushing Michigan. He played baseball for Flushing High School and the South East Michigan Rebels before going on to play for the Wake Technical CC Eagles in 2010. He currently lives in Chapel Hill and attends the University of North Carolina at Greensboro majoring in Accounting. Sam began his own training at the K-Zone Academy in 2012. Currently he assists as an instructor for our SBA training classes, sharing his understanding of K-Zone's methods and philosophies. 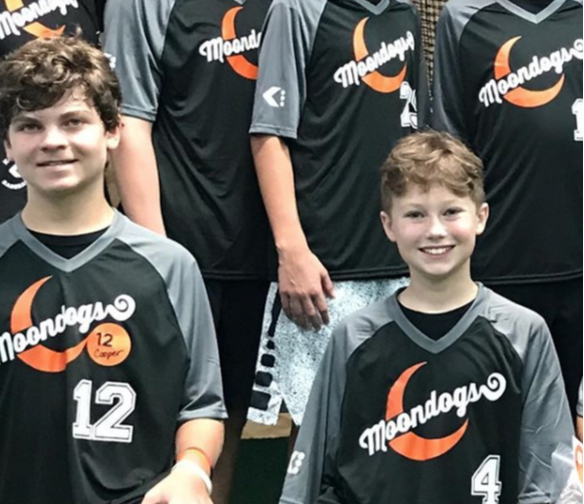 Sam's favorite part of coaching the MoonDogs is helping and watching the players reach and surpass their goals.